Watch out, the Dinosaurs are coming to York! On Saturday 6th April, 1pm & 2pm in St Helen's Square, Tybalt The Trex will be roaming the streets of York ahead of Dinosaur World Live right here on 15-16 April 2019! Dare to experience the dangers and delights and join us for a roarsome and exciting performance, with the chance to meet a real life dinosaur. A perfect day out for all budding explorers and the whole family. 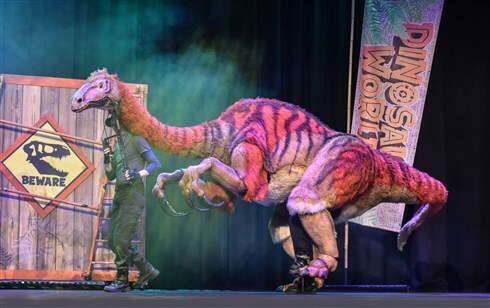 Dinosaur World Live is here on 15-16 April 2019, make sure to book your tickets by clicking here before they become extinct!